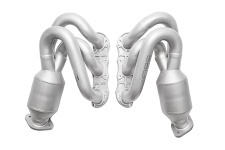 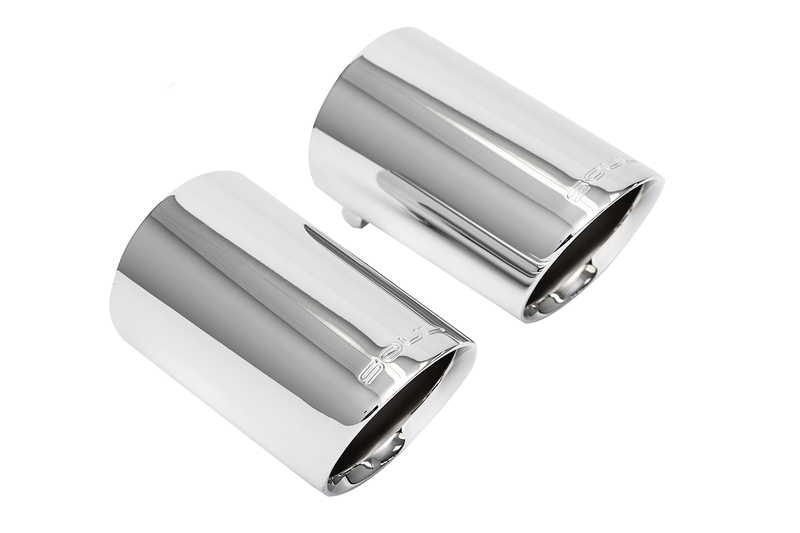 Love the sound of your factory rear exhaust on your Boxster / Cayman but want to change the style of your exhaust tips? 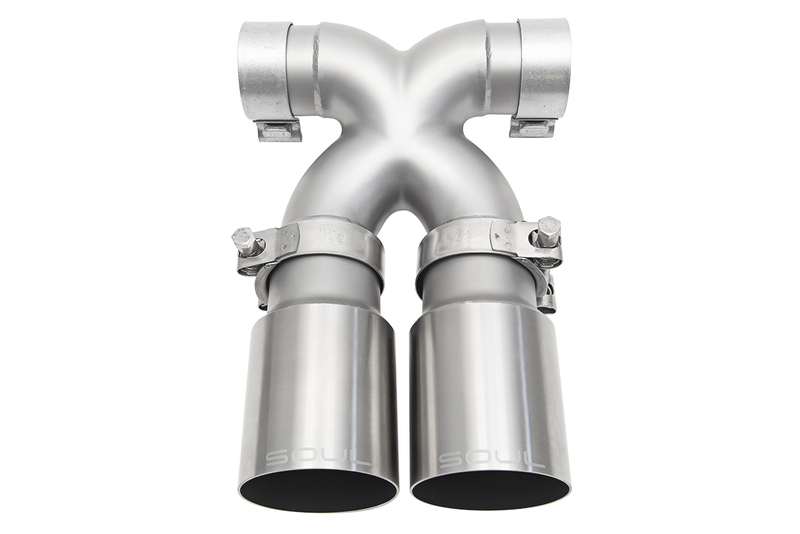 Soul Performance Products has an easy-to-install solution to increase aesthetics and tone with a bolt-in X-pipe for the best possible flow with exhaust tips of your choosing. 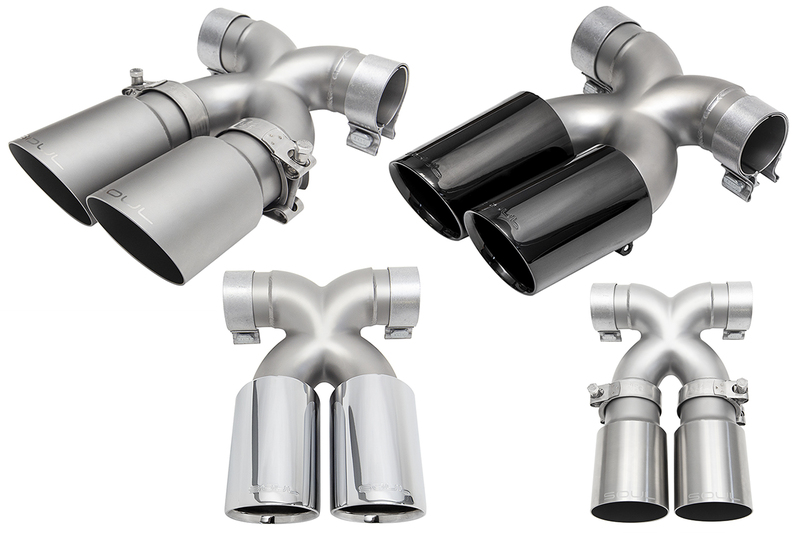 The cast X-pipe smooths exhaust pulses and lends to a more refined exhaust note. 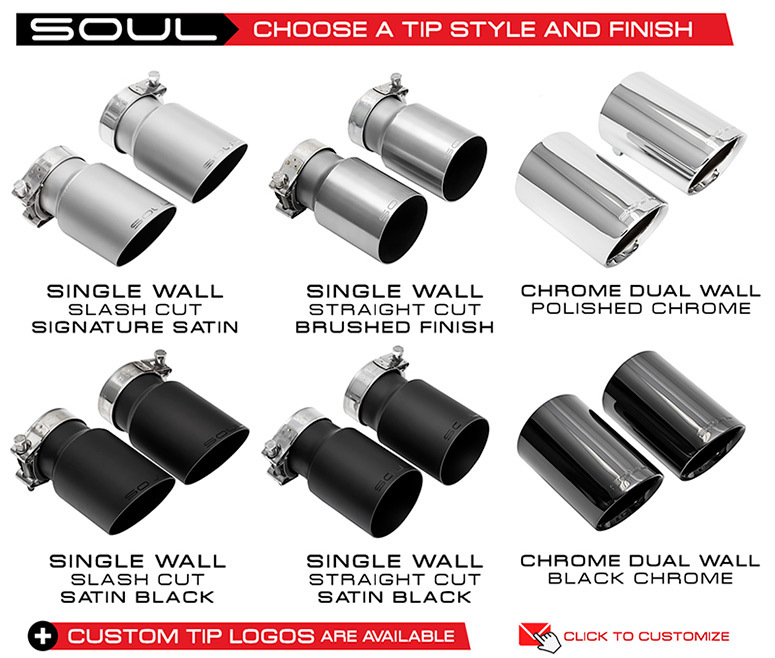 + Choose from a variety of tip styles and finishes – or customize your own! 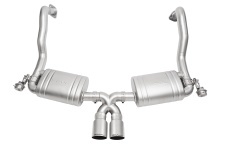 DEVELOPMENT: The factory Boxster / Cayman “T” tip section allows for exhaust gasses to crash into each other when coming out of the muffler before exiting the tips. This cost-cutting method creates turbulence and hurts performance. By incorporating a smooth, cast X-pipe into the rear section, this allows for a more efficient flow path from the exhaust gases. 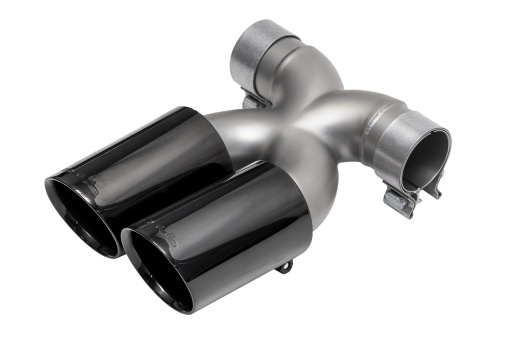 A small increase in gas mileage during cruising and more power when accelerating aggressively should be expected. FITMENT: We offer both “long” and “short” single wall variants for ideal fitment. 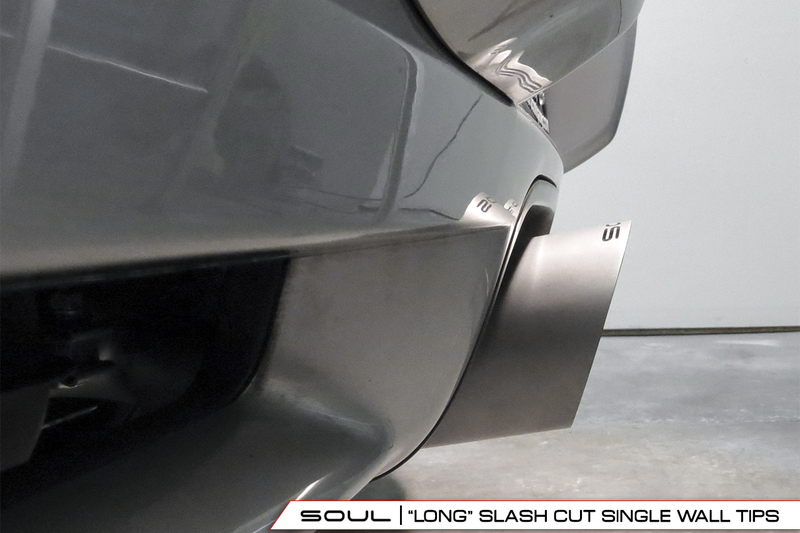 “Short” tips are 1″ shorter for a less aggressive look. 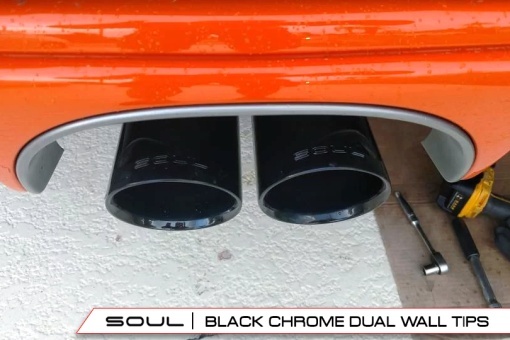 All dual wall tips are “long”. 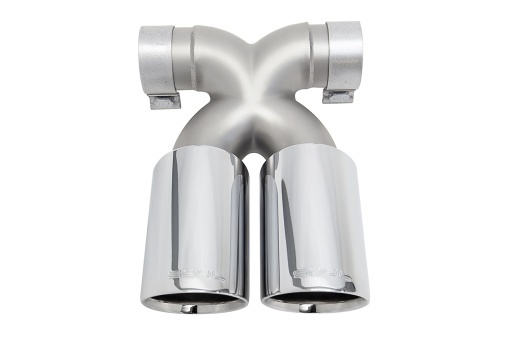 CONSTRUCTION: A cast T304L stainless steel x-pipe is used for a smooth inner wall and clean “X” section for maximum flow. Choose from a number of single-wall stainless tips (slash cut or straight cut) or chrome double-wall tips in a number of finishes to personalize your tips to your liking. Every set is rigorously quality-checked then foam packed to arrive in perfect condition. 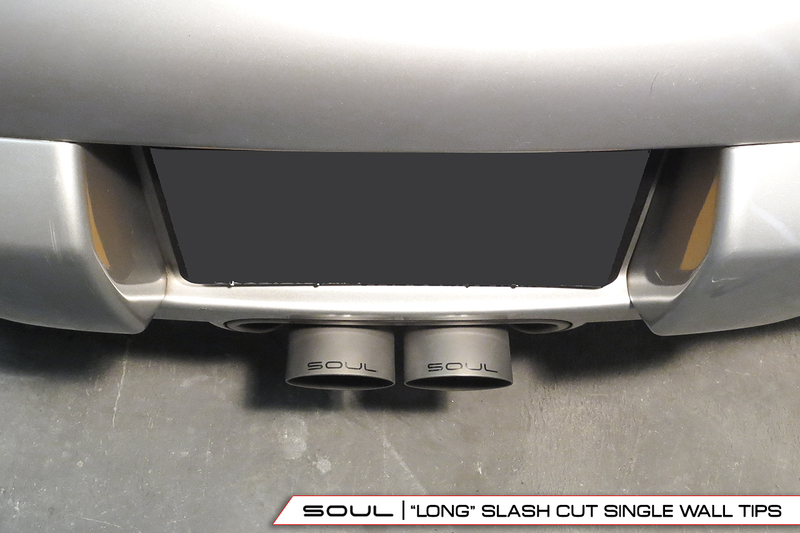 LIFETIME WARRANTY: Enjoy your SOUL components with confidence on both the street and track as they are covered by our Lifetime Warranty! 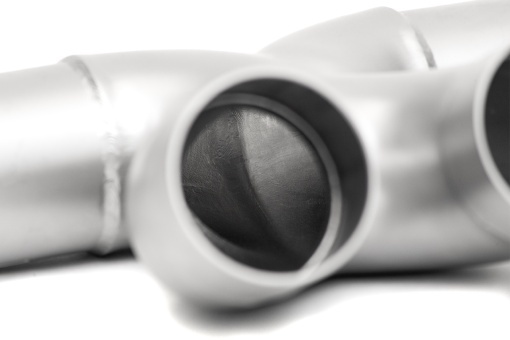 Our team will quickly work with you to resolve any questions or issues that you may have. NOTE: The finish on the signature satin / brushed single wall stainless steel tips will develop a golden hue over time due to heat. 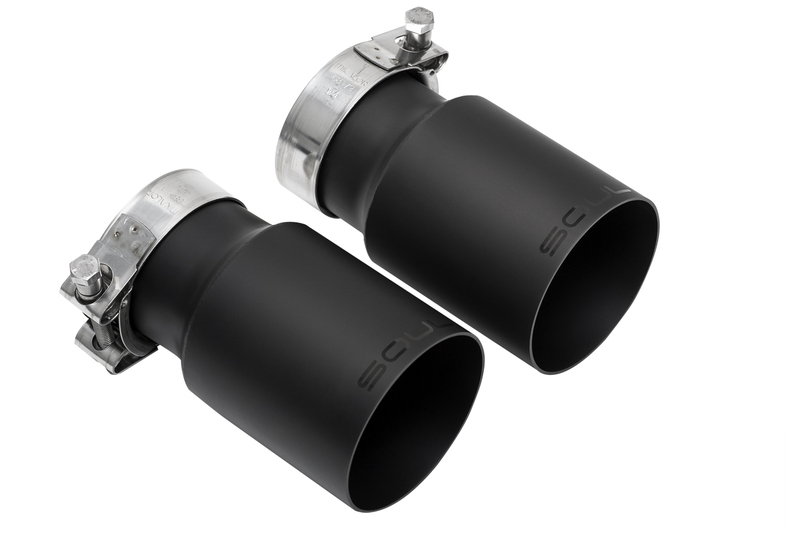 I can distinctly hear a difference in sound, especial with PSE in sport mode. It’s difficult to describe, except to say that it sounds “sportier”, which is an unexpected but welcome benefit to my ears. 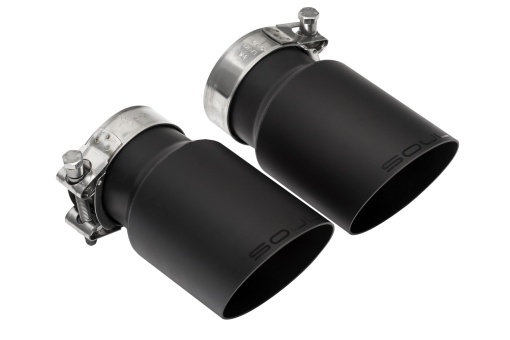 It’s a well made product, shipped quickly and securely packaged, and I think it adds a subtle aesthetic and audible upgrade to my Boxster S Limited Edition. 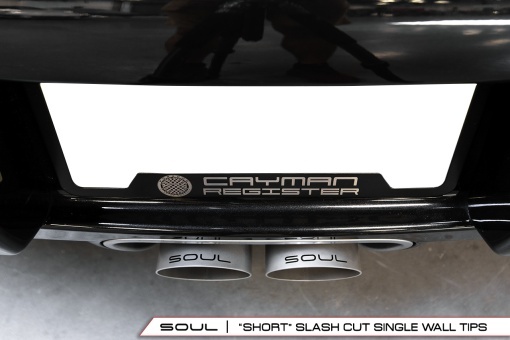 I just had the Soul polished chrome dual tip installed on my 2018 Cayman and could not be happier with the results. 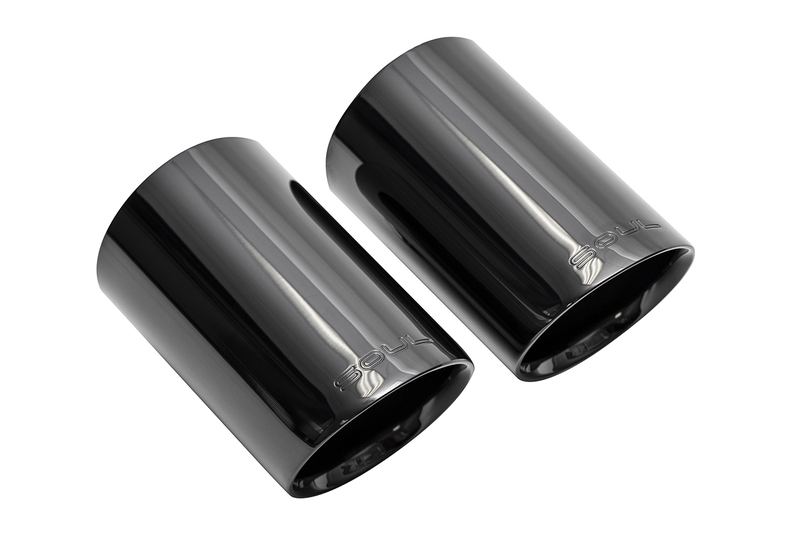 The quality of this product is outstanding and shipping is quick and hassle free with very secure packaging. The crew at Soul Performance Products answered all of my initial question and were an absolute pleasure to deal with. 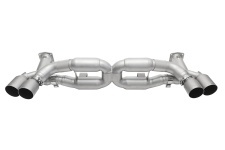 I would give this product, the company and its people my highest recommendation. 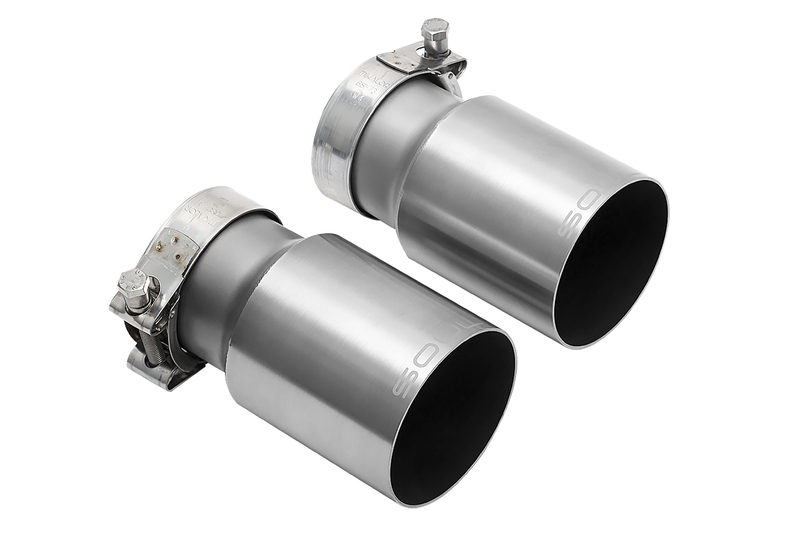 I’m not a fan of the original 987.1 Cayman S single to dual snout exhaust tip, so I’ve been looking at various dual tips. After reading various posts I decided to go with SoulPP, is a simple cast body design so you can swap the tips if you decide to. I got the polished Chrome tips, they are very high quality chrome, all the welds etc. 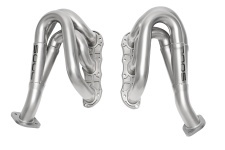 looks perfect, good quality stuff, I hope it will last. 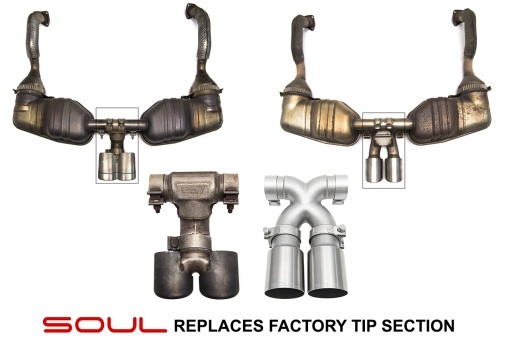 When time comes for exhaust I will definitely consider SoulPP. 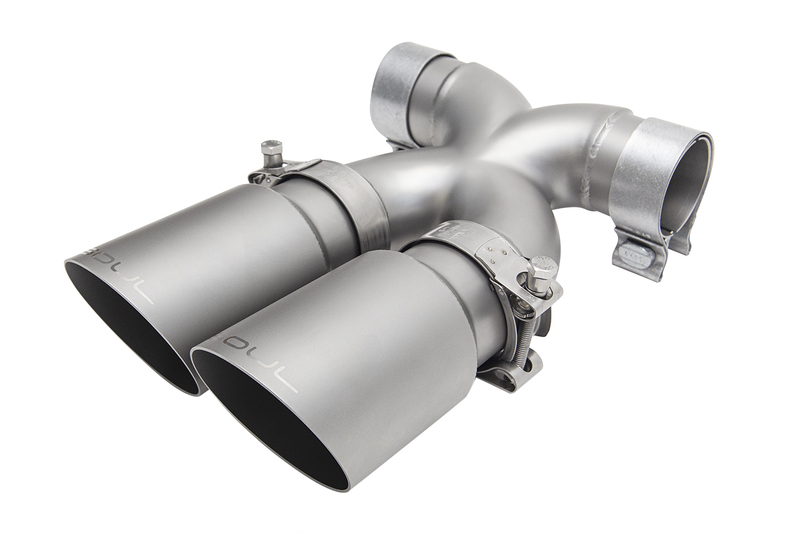 I did loosen one of the exhaust from the header, note use PB blaster on the flange bolts first, it took me less than an hour.